Associated Student Government and Full Circle Pantry encourages all to participate in the Meal Donation Drive. At the end of each semester, ASG encourages students to donate a meal by giving $5 cash or FLEX to University of Arkansas community members in need. “Being a Razorback isn’t just about getting your name onto the senior walk; it’s about caring for those names etched around your own. It is my belief that no student here at the University of Arkansas should go to bed hungry,” ASG President Daniel McFarland said. All donations go to the Full Circle Food Pantry to be distributed to student, faculty, or staff in need via Division of Student Affairs Offices. Questions regarding the program should be referred to asg@uark.edu. 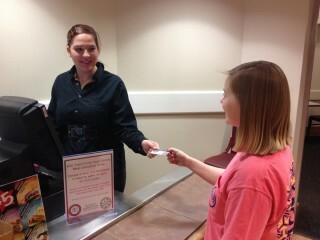 Questions regarding where to pick up a voucher can be referred to pantry@uark.edu.